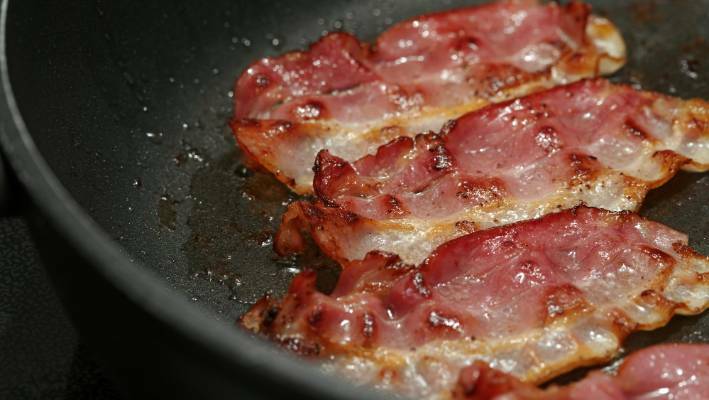 The research based on nearly half a million British men and women found that even moderate consumption of ham and bacon was linked to an increased chance of developing the disease. Bowel cancer is the third most common type of cancer in the United Kingdom, with around 23,000 diagnoses annually. The World Cancer Research Fund said there is strong evidence that eating processed meat also increases the risk. Even those who broadly follow government advice and eat 76 grams of red and processed meat a day, equivalent to a slice of roast beef and a rasher of bacon, are 20 per cent more likely to develop the cancer than those who only eat 21g a day, the study found. "This doesn't necessarily mean cutting out red and processed meat entirely, but you may want to think about simple ways to reduce how much you have and how often". But "eating a lot of red and processed meat probably increases your risk of bowel (colorectal) cancer".